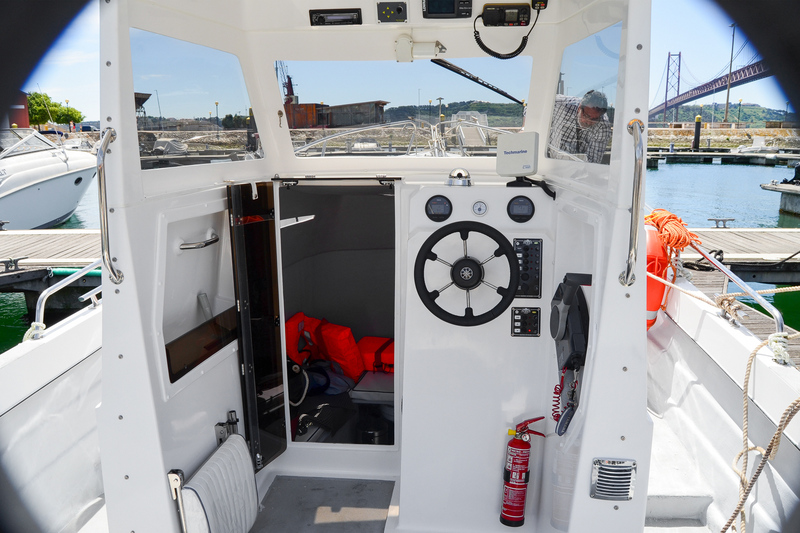 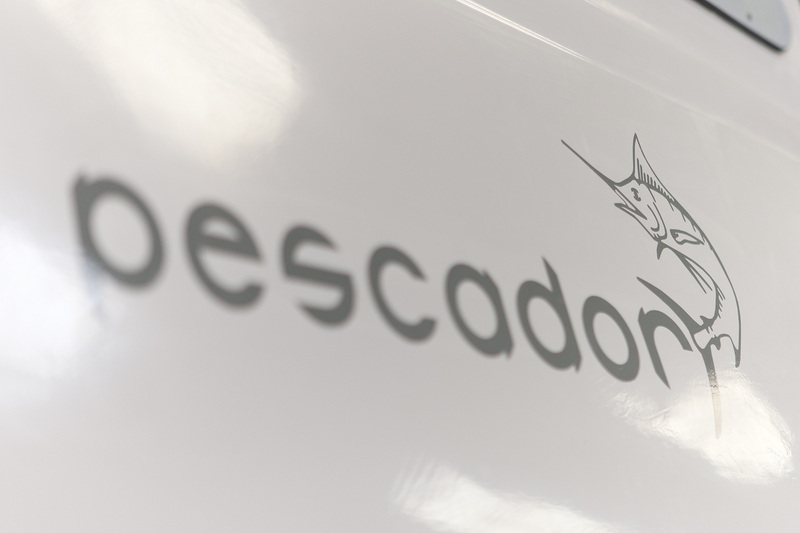 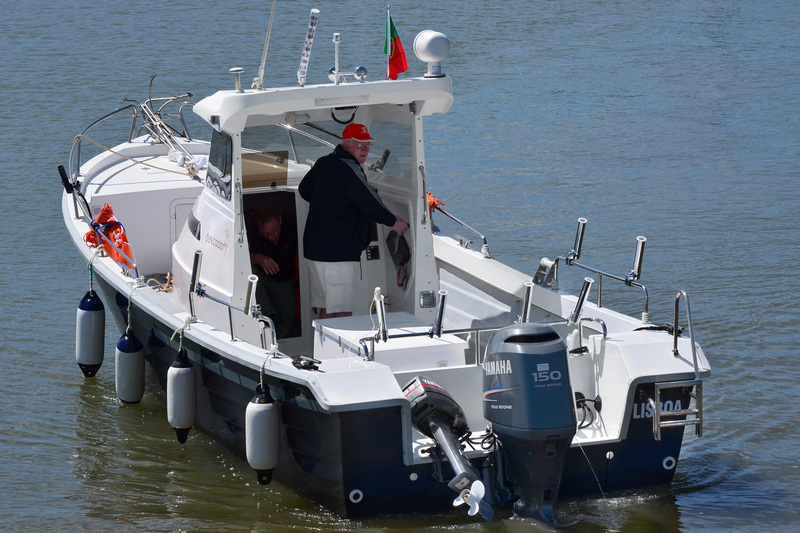 Version with central cabin of the 780 Pescador. 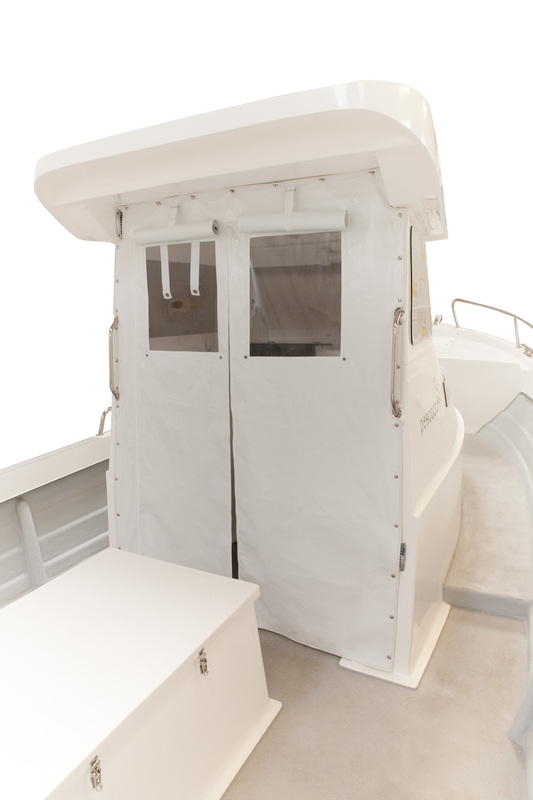 Another option to satisfy the most demanding fisherman who doesn’t give up the comfort on board. 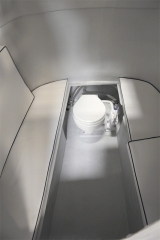 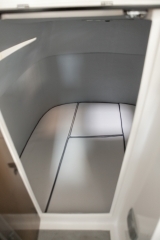 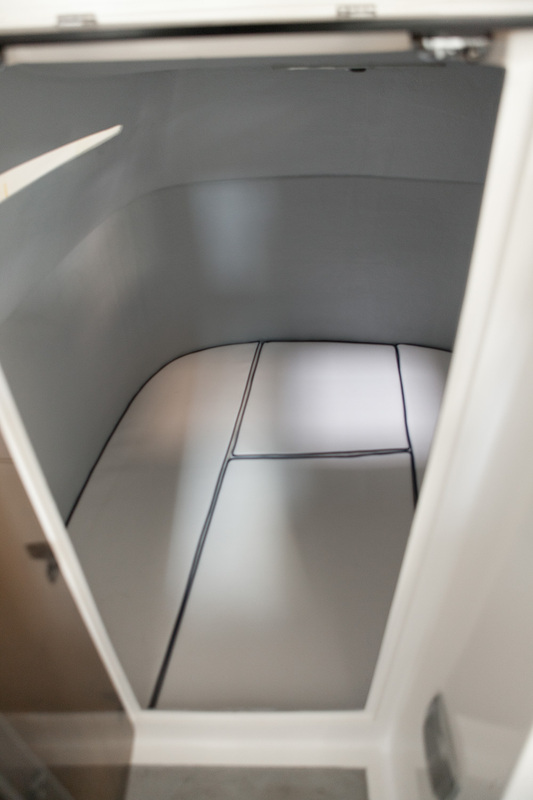 The interior of the cabin has a double berth and can there can be installed a toilet (optional). 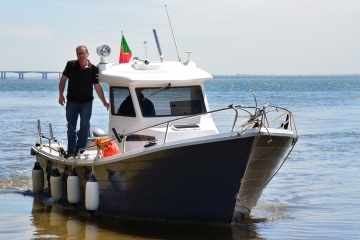 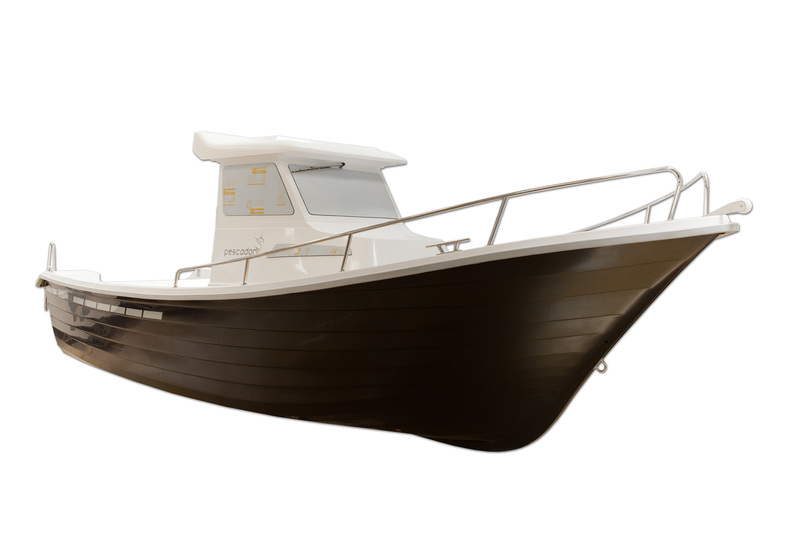 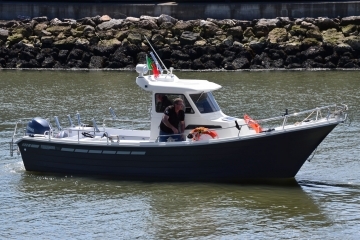 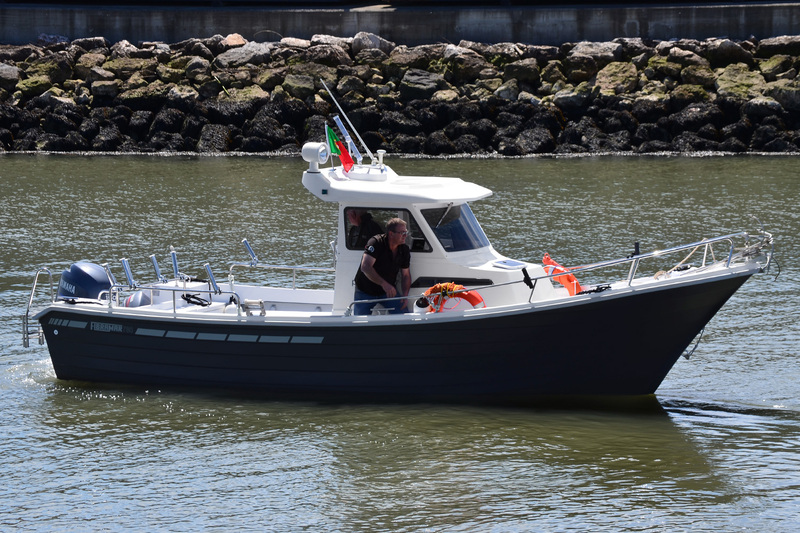 Cleats, skene bow chocks, U-bolt bow eye, bow rail, embedded benches at the stern, foldable ladder, bow roller, storage locker/seat with tilting back, banco de co-piloto, compartments for storage at bow and stern with locks, beliche duplo com colchões, self-draining deck and non-slip deck. 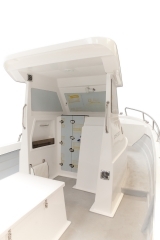 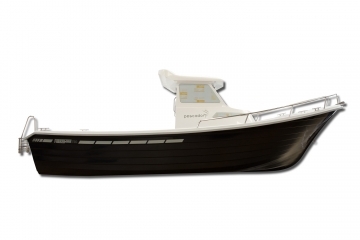 Color of the hull, pads interior trim, toilet, side handrails, transom rail, rod holders.